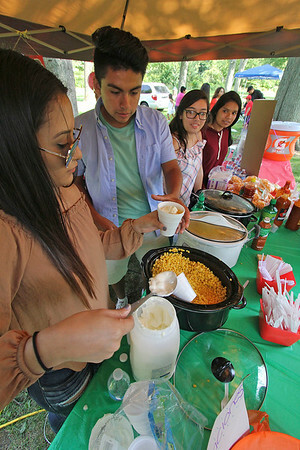 Members of the Goshen High School Multicultural Youth Alliance were on hand Saturday at the Goshen Multicultural Festival to serve up food from Mexico and Latin America for a donation. From left are Miranda Reyes, Christopher Serrano, Victoria Flores and Monserrath Hernandez. Tomas Santos was also helping out.